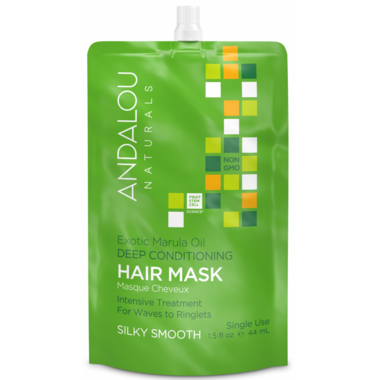 To use: Apply evenly to clean, damp hair working from roots to tips. Leave for 3-5 minutes, rinse thoroughly and style as usual. Extra benefits for all hair types, especially defiant, curly, and coarse hair. Gentle and color safe. Super silky hair after using this! The smell is not overpowering and it feels great. Too bad there is not a bigger format.